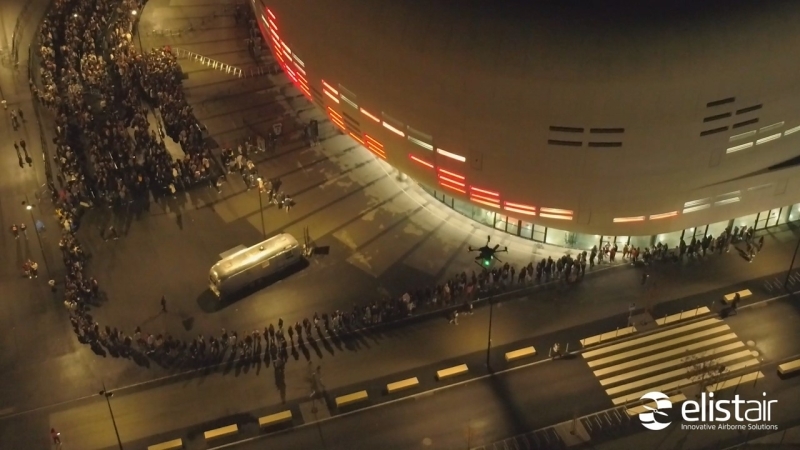 French Police Secures Concert with Elistair Tethered Drone System to secure security at the Bordeaux Arena. On November 30th, fans of French singer Orelsan were able to enjoy the singer’s music with increased security provided by drone technology. 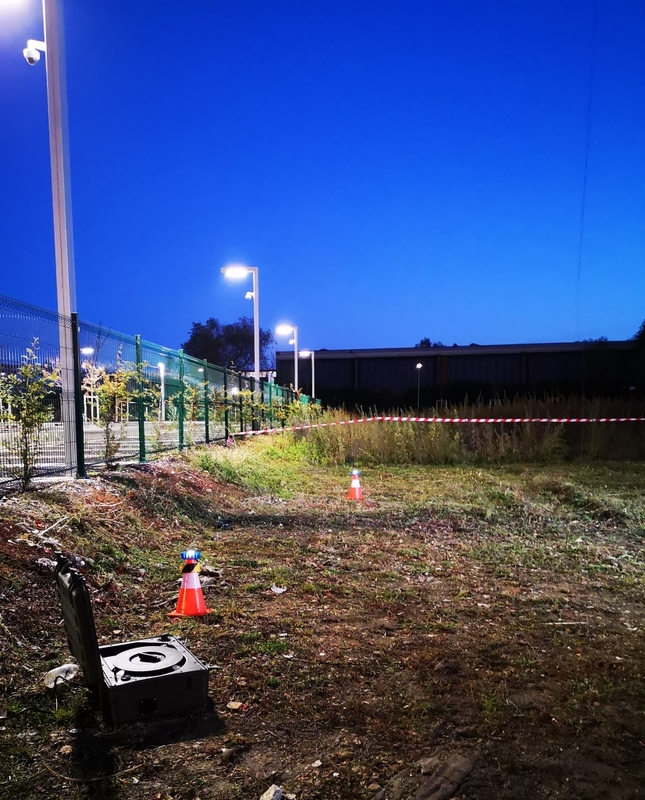 To assist the police in the vicinity of the concert hall, a DJI M200 UAV connected to Elistair’s Ligh-T tethering station was specially deployed. Powered from the ground, the drone flight lasted several hours, compared to 25 minutes for a conventional drone, and helped secure the perimeter of the arena. 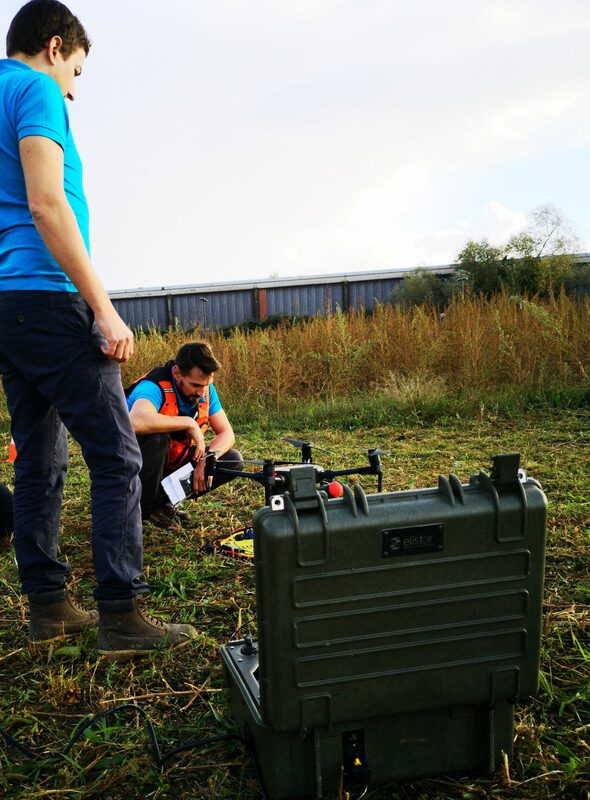 A tethering station: innovation that pushes the limits of UAV technology! Connected to the ground by a micro-tether, the UAV flew over the zone before, during, and after the concert without the interruption that comes with changing batteries. Access, entrances, exits, roads, flows of people and vehicles were able to be monitored safely and effectively. Thanks to the tethered drone, security teams were able to have constant situational awareness of an area with a radius of 1.5 km. “Our objective was to assist the municipal police in relieving traffic congestion. The use of this tethered drone was a great asset for police officers and helped to reduce traffic congestion by 45 minutes. In addition, thanks to this system, we were able to trace a person wanted for public drunkenness” adds Alexandre Auger. Flexible, reliable and portable, Elistair’s Ligh-T station is designed to operate in challenging weather. Deployable in less than 5 minutes, it provides continuous power for an unlimited flight duration, and allows flight monitoring via the smart surveillance application T-monitor. In addition to providing power, data can also be transferred securely through the tether. Designed to be used in highly challenging operational conditions, the Ligh-T station can be used by day or night and provides safe and persistent flights. Perfectly adapted, among other applications, to deployments in urban areas close to infrastructure and the public. Elistair tethering systems, including the autonomous Orion UAS, have already successfully provided surveillance for major international events in 2018. These include The Bol d’Or (24 hours International Motorcycle Championship – 70,000 spectators), the Ryder Cup (300,000 participants), and the Paris Peace Forum (70 heads of state).